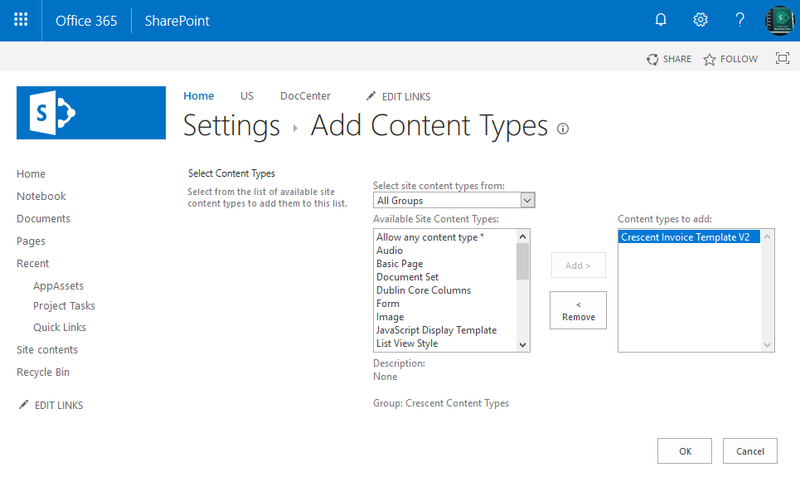 Home Content Type SharePoint 2013 SharePoint 2016 SharePoint Online How to Add Document Template to Content Type in SharePoint? 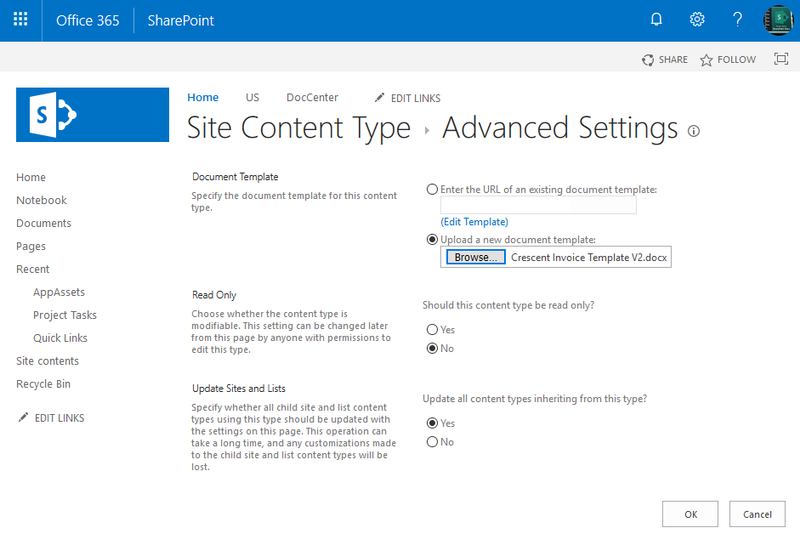 Requirement: Add document template to content type in SharePoint. Go to your SharePoint site and click on the settings gear icon. Create a new content type and add required metadata columns to it or Click the name of the content type you created previously where you will associate a document template. From the Site Content Types Page, click Advanced Settings. 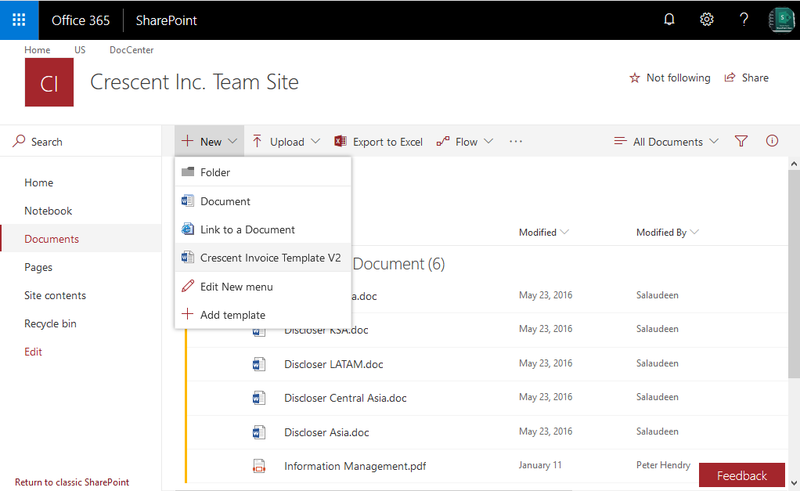 Select the "Upload a new document template:" option, click Browse, find and upload the document template you prepared. Click OK to save your changes. Now, we have the content type with reusable collection of metadata and template.We should see the new content type in the library. Optionally, we can change new button order and default content type. Go to your SharePoint document library. Click on "Library Settings" >> Enable content types by setting "Allow management of Content Types" from Advanced Settings, if not enabled already. In library settings, under "Content types" Click "Add from existing site content types"
Choose content type you created with document template and then click on "Add >> Click "OK" to apply the changes. Now, Go to your document library, Click on "Files" >> Click "New Document"
Select the new document type E.g. "Invoice Template". The document is now opened and contains the content from the template you used. Site columns added automatically through the content type appear just below the ribbon. Fill in the fields, change document content, and click the "Save" icon.